The Spectrum Office is responsible for the support and maintenance of three administrative software applications, PeopleSoft Financials, ADP (Human Resources Management System) and Panther Mart (SciQuest e-procurement system). All systems are web-based. These applications are used to enhance the University’s business processes, provide summarized and detailed data that is easily accessible through inquiries, queries and reports, and maintain a reliable and secure database. The Financials System, better known as ‘Spectrum Plus’, consists of the General Ledger, Commitment Control, Accounts Payables, Asset Management and Purchasing modules. ADP (Automated Data Processing) is comprised of Employee Self Service (ESS), EV5, and eTime applications and Panther Mart consists of Higher Markets and Total Supplier Management. Our primary services include System Support and Maintenance, Training and Security/Workflow Access. The Spectrum Office offers several regular instructor-led (hands-on) financial and Panther Mart classes, open classroom support, online training guides and quick references. Employees are educated and trained in the Panther Mart Requestor, Payment Request, Travel, general ledger, commitment control and asset management modules so that they can perform their job duties effectively. Currently, instructor-led classes and open classroom support are held every other month. The class times range from 2 hours – 4 hours. Most classes will seat up to 20 participants. For additional information on class schedules, class descriptions and registration, please click here. In addition to the financials training, we develop and deliver manager level training and employee level training in ADP (Human Resource System) to facilitate hiring employees, terminating employees, updating employee benefits, managing timesheets and leave requests and general navigation through EV5, ESS, and eTime systems. For additional information on class schedules, contact the Spectrum Team at Spectrum_Team@gsu.edu. We administer PeopleSoft Financials security access and workflow access to employees and/or affiliates of the University. Employees are assigned roles based upon the tasks they will need to perform in the financial system and Panther Mart (i.e. process invoices, payment requests, employee & non-employee reimbursements using vouchers, procure goods and services, manage budget using online inquiries and reports, etc). To obtain access, a request must be completed and must have the appropriate signature approvals prior to access being granted. Also, the Spectrum Office sets up and maintains Department and Project Workflow. Workflow is the online approval routing for transactions such as purchase requisitions, payment requests, travel authorizations and general ledger journals. Workflow approval enables these transactions that are initiated by Requestors/End Users, to be routed through the system to pre-defined Approvers. Employees can be assigned a 1st or 2nd level of approval for department workflow or assigned a 1st, 2nd or 3rd level of approval for project workflow. A workflow request must be completed and must have the appropriate signatures before employees are assigned a level of approval. 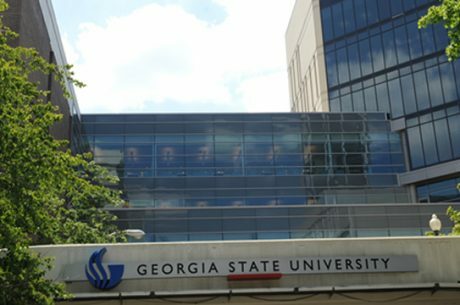 Contact Help Desk @404-413-4357 or help@gsu.edu for problems using the Spectrum System (Logging in, Error message, etc.) The problem will be routed to the appropriate person.